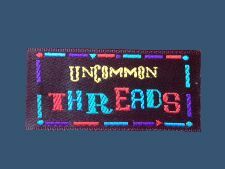 Custom lanyard is the ideal way to advertise a business. Not only are they an unobtrusive form of advertising, they also provide an effective and economical way to promote your business or venture. 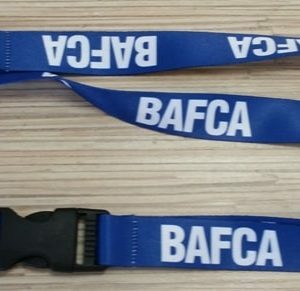 Our personalised lanyards are the ideal way to gain more exposure, whether they are given to employees, third-party suppliers or potential clients. Not only do they provide a practical purpose for the user, they will also help to keep your business at the forefront of their minds. We can supply lanyards manufactured from a huge range of materials including polyester, nylon and hi-vis fabrics. There are no minimum order quantities either, which means we can help with the very smallest through to the largest possible orders. Whether you are a small business or a large corporation, our custom lanyard service can be scaled to suit any requirement and any budget. If you are looking for something a little bit different, custom USB lanyards are the answer to your marketing requirements. These can be made to your exact specifications including colour, size, text, images and more. Not only are all of our lanyards no minimum order, our price is the lowest for lanyards UK, and we can have your purchase with you in around 2 to 3 days. Interested in how we can help you? Contact us today, our contact details are here.